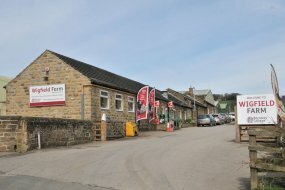 Wigfield Farm campus is a working farm and visitor attraction in Worsbrough on the edge of Barnsley. We have over 60 species of animals including domestic farmstock and exotic species in a dedicated reptile house. All our Animal Management and Horticulture courses are delivered at the farm. Please see the Wigfield Farm website for information about visiting the farm.